To your left is the magical banged wonder of the YA blogoverse...Khy (with YA author Bree Despain). She's hip, she's fun and she's oh so young. I fondly refer to this spitfire of ridiculousness as my Lil Blog Sis and forever that she will be. 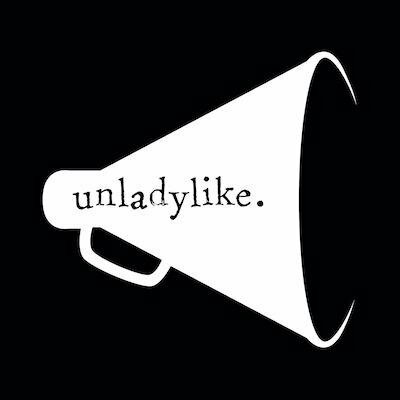 I am beyond happy that she's written something for me but I would be even more happy if you zipped by her blog! I admit that I have read very, very few book by Australian authors, despite the fact that Adele posts about dozens that I am dying to read. The total number I've read is probably like...6. And four of those would be by Melina Marchetta and Markus Zusak, so obviously I have not read a wide variety of authors. 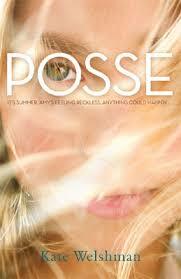 However, I have read one Aussie book I adored that was sent to me by the Lovely Adele: Posse by Kate Welshman. It's a bit hard to summarize (but then again, everything is hard to summarize for me), but I will just say that it is a book where bad things happen, and then Amy, the narrator, has to deal with the bad things. Very descriptive, I know. Luckily, the book is much more exciting than I make it sound. Amy is a delightfully confident and entertaining narrative, making even the worse things going on seem not-so-bad. I loved how I had to guess along with the characters about what really happened the night the Bad Thing occurred, and how it remained a mystery until the end. I loved seeing how Amy dealt with the Bad Thing, trying to find out what happened while dealing with her loony parents and fun friends. And personally, my reading experience was much more pleasurable because everything in the book is so Australian. Being American, I find anything foreign to be intriguing and endlessly amusing. Sadly, I haven't read anything by an Aussie authos, but that's about to change. I was contacted by multiple authors, thanks to an interview I did w/Hazel Edwards & Ryan Kennedy, and one of them is sending me her book. It'll be my 1st AU book! I'm so excited! Feb will be Aussie Month on my blog, since I had I bunch of authors who asked me for an interview. Stop by if you can, and help me spread the word! Good to see Khy here! Another fave blogger!